​There is a great movement in our food system towards knowing where our food comes from and what has happened to it in the process. That involves supporting and buying from farms that use quality processes such as regenerative, holistic, ethical, organic farming etc. It can be categorised as investing in quality food now rather than medical treatment later. We wholeheartedly support this movement and have conducted Ayton Farm along these lines, based on the Joel Salatin model, which is labour intensive, and on top of that we have added the expense of organic feed. We are delighted with the taste and quality of the food we have produced and consumed and content in the belief that we have given our animals a natural, happy and stress-free life. However, our knowledge of marketing and our limited ability to communicate the nutritional/health benefits of this type of produce have meant that we have not been able to bring Ayton Farm’s turnover up to a viable level. While we are supplying to a number of high-end restaurants, our efforts at marketing to other channels have fallen short. Without Financial viability we cannot properly demonstrate the benefits of regenerative and sustainable practices, so a lot of our strategic aims in the project are not able to be achieved in the time-frame we hoped. We would like to sincerely thank our customers for their support but regret to announce that we will not be producing pastured eggs and meat chickens for sale in the future. When our stocks of frozen chickens run low we will keep the rest for ourselves and when our current laying hens reach the end of their laying cycle about mid-February we will not be replacing them. Another highlight was meeting and getting to know quite a number of international travellers who contributed to the project through the helpx.net arrangements. To all of you: thank you for your support and friendship, and we hope to keep in touch. PS: we will continue to live on the farm and focus on beef production and experiment with a number of projects like bees, organic vegetable growing, growing mushrooms, using our Lucas portable sawmill to mill our own timber and doing a few interesting things around land regeneration. Welcome to Ayton Farm, 15 minutes from Rathdowney and 30 minutes from Boonah in the majestic Scenic Rim of South East Queensland. 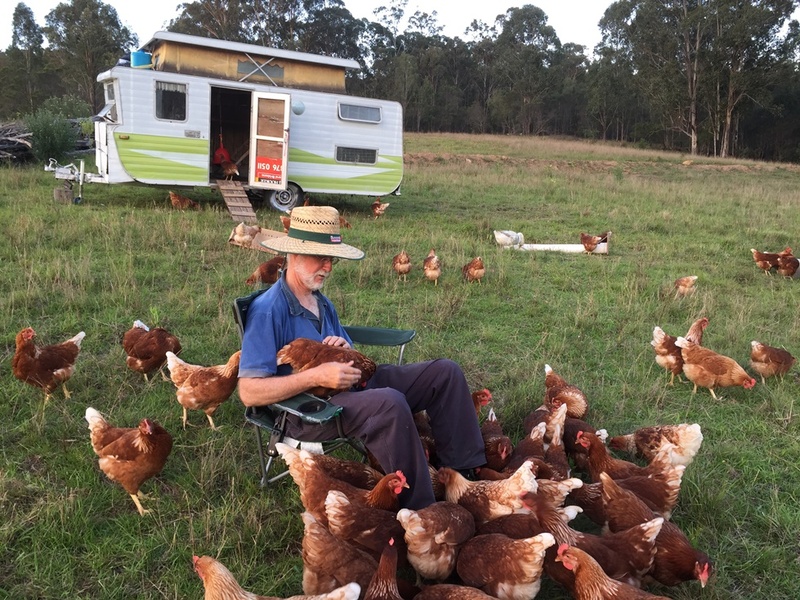 We deliver to restaurants each Tuesday and whole chickens are available for collection at various locations in Brisbane, the Sunshine Coast and the Scenic Rim (details on order form page). You can place your order on our website order form or call Kathy on 0414 821 700. Orders would need to be in by Friday afternoon for delivery the following week.